The holiday season is full of surprises from gift-giving to the sparkling decor. One of the most unexpected surprises for any mom includes household stains. Before putting ornaments on the tree or laying out the garland, we must incorporate time to beautify the home. A lot of household cleaners can only be used on certain surfaces. Even worse, a few products leave a greasy film! This defeats the purpose of cleaning at all. 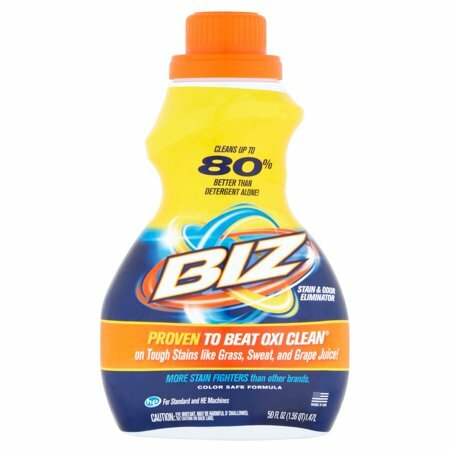 Biz Stain and Odor Eliminator can be used in the bathroom, kitchen, patios, and decks. The cleaner is perfect for shower stalls and countertops. This is really important for my home because the kitchen counter is the central station for everything! To create a solution, mix Biz with a bucket of warm water. Then apply the mixture to whatever surface needs cleaning. Afterward, do your normal wipe down. It’s just that simple! A really big tip if you own a garbage disposal is to pour 3/8 cups of Biz down the drain. Let it sit for 15 minutes and flush with hot water. Biz Stain and Odor Eliminator is a one-stop shop for cleaning your home during the holidays. Remember, before you set the table or lay out the ornaments use Biz to clean and deodorize your home.